Barry G. Magen, M.D., J.D., special counsel at Kline & Specter, has been involved extensively in medicine and law, first as a physician and later as an attorney. Dr. Magen, who worked as a physician at Thomas Jefferson University Hospital and the former Mt. Sinai Hospital in South Philadelphia, joined Kline & Specter in 2010 after six years with law firms that worked in medical malpractice defense. The firms included Goldfein & Joseph, PC, in Philadelphia and, more recently, Galli and Reilly, in Bala Cynwyd. Dr. Magen has been selected for inclusion in Pennsylvania Super Lawyers — Rising Stars, a publication that uses statewide voting and a special review committee to choose the top 2.5 percent of attorneys who are 40 or younger. He previously worked at a Philadelphia firm, Hochberg Napoli Diamond, in which he represented patients who had suffered injuries due to medical malpractice. 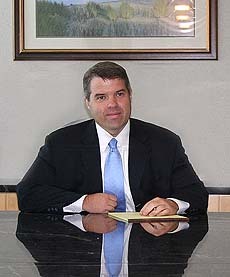 Dr. Magen worked at the Hochberg firm for five years, from 1999 to 2004. He previously worked at Haymond & Lundy, also a Philadelphia personal injury law firm, while in law school. He worked from 1996-97 as a hospitalist at Mt. Sinai, where he handled all types of patient care. He did his residency in anesthesia at Thomas Jefferson University and an internship before that at Reading Hospital and Medical Center. Dr. Magen attended Temple University School of Law, where he was a member of the International Comparative Law Review. He also earned his medical degree from Temple and his undergraduate degree from Pennsylvania State University, where he majored in vertebrate physiology.